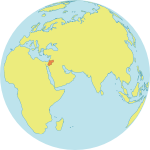 Amman, JORDAN – On most weekday afternoons, you can find 22-year-old Hiba* working at a salon in Amman. She has a long list of loyal customers and a steady income. But what few of her clients know is that she was once a child bride – an experience that haunted her for years. At 15, Hiba dropped out of school to marry a man 10 years her senior. Their families were acquainted, and when his family insisted on the arrangement, she was too young to say otherwise. This situation is tragically common – and worsening. Among Jordanian girls, rates of child marriage increased from 9.5 per cent in 2011 to 11.6 per cent in 2015, according to a study released earlier this year by the Higher Population Council, a UNFPA partner. Child marriage is a human rights violation, one that affects every part of a girl’s life, from her education to her health and future. Hiba experienced these consequences immediately. Not long after the wedding day, her husband and in-laws began to control her every move. She wasn’t allowed to leave the house by herself. They dictated her wardrobe. And when she didn’t think things could get any worse, they pressured her into getting pregnant. They had a child together when she still a teenager. Neither Hiba nor her husband were happy. Three years into the marriage, when she was 18, her husband agreed to a divorce. She moved in with her parents and began looking for a job – something she wasn’t allowed to do when she was a wife. Hiba had always had a passion for hair and makeup, but lacked the skills to turn her hobby into a career. Her aunt encouraged her to sign up for a vocational training programme in beauty skills run by the Jordanian Women’s Union (JWU), a UNFPA-supported organization that helps vulnerable women and girls. Hiba was insecure about her abilities, but decided to register for the programme anyway. It didn’t take long for Hiba to excel in the programme. She outperformed in almost every task. Even so, the marriage, divorce and aftermath – including stigma and a prolonged child custody dispute – were taking a toll. One of the salon workers saw that Hiba was distressed, and advised her to reach out to the JWU hotline, which provides free legal advice and counselling to vulnerable women. Case workers provide care both by telephone and in person. Khefa Al-Jaberi, a social worker with the hotline, remembers the first time she met with Hiba. Her case isn’t unusual. Ms. Al-Jaberi says many of the women and girls who contact the hotline are current or former child brides. Ms. Al-Jaberi helped Hiba regain her confidence and create goals. They continue to see each other at least once a month. 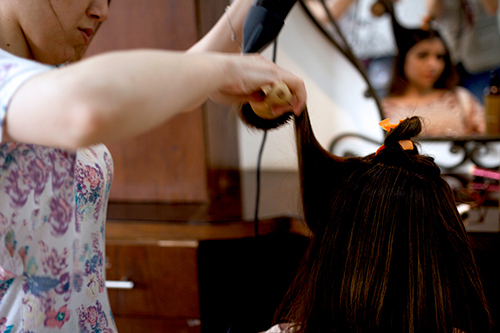 Three months after entering the salon training program, Hiba became a certified beautician. She is now one of the most sought-after workers in the salon. “I love this salon and come here all the time to get my hair done by [Hiba],” said one customer, who had stopped in for a blow dry.